I looked for this image when Tiki’s PC/Server was knocked out by lightning. 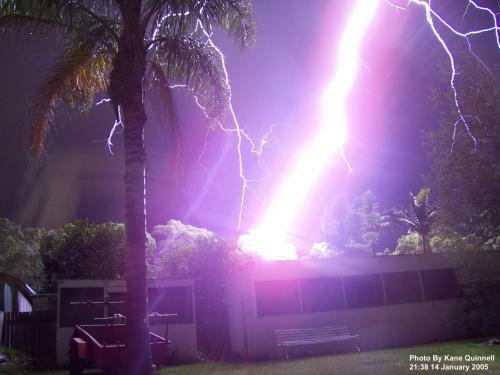 An amateur photographer in Australia took this out in his backyard one lightning storm (in Sydney I think). He got quite a bit of media coverage, and I think his hearing and eyesight recovered eventually.